Just because Simon is back to normal doesn’t mean his past actions never had repercussions. 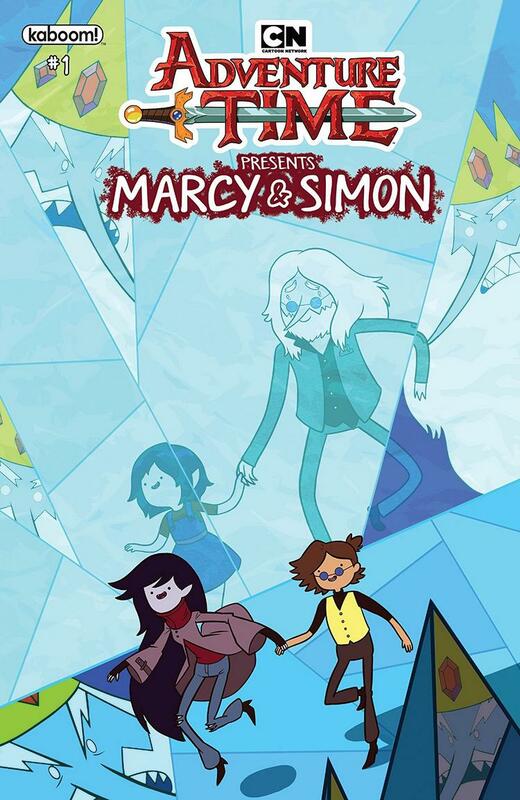 Simon and Marceline go on an Ice King Apology Tour in this first issue of Adventure Time Presents Marcy & Simon! I’ve always loved the bittersweet friendship between Marcy and Simon, so I was excited to delve deeper into their complicated relationship in this comic. I love how it starts out with this splash of a poster for the “ICE KING APOLOGY TOUR”. I like that Simon acknowledges the terrible and weird things Ice King did and decides to make amends instead of just brushing it off in favor of a clean slate. That tells you a lot about the kind of person Simon is. I also love the small cameo Lemongrab makes. Lemongrab is a truly acquired taste, but he’s always better every time he makes an appearance and I love that he got three panels in this issue. I will say my favorite moment is definitely the one Simon has with Marceline. I won’t say too much, but it’s a little heart-wrenching and adorable and just the sweetest scene ever and I hope you read the comic and see it for yourself. I love the simplicity within Fabert’s art throughout the comic. The thick lines on the characters and minimalist feel to the piece is very much in line with the show’s aesthetic, but it also has an edge of the artist’s own style, which makes the comic feel richer and not just a carbon copy of the show. It’s a weird touch, but I love that Jake makes his own party hat out of his own morphing body instead of just using one. It’s a subtle way of using Jake’s powers to think outside the box and I appreciate that. I love the vibrant hues Miller chooses to color the world in. Adventure time is prone to bright settings and colorful characters, and I like that Miller is able to show that in this piece. There’s so much grimdark grime tones in so many other works and it’s nice to see the entire rainbow in a comic. There’s some nice lettering in here by Fiorentino. There’s not a lot of times where he moves away from the handwritten feel of the normal font, but times like when Marceline vamps out, saying “I’ll make them! Hsssssssssss!” jokingly with the horror font and deep red speech bubble – those times really made the lettering go from just good to fantastic. If you loved Adventure Time the show, you’ll definitely love this comic.